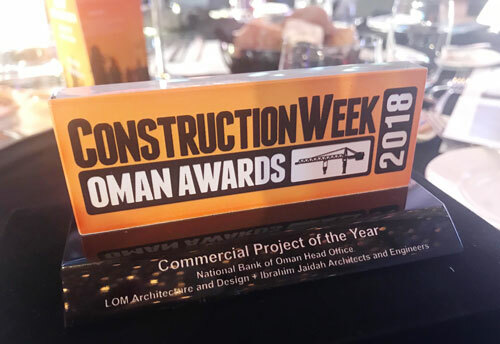 National Bank of Oman’s (NBO) new headquarters designed by LOM architecture and design, FDP’s sister company, was Highly Commended at the Construction Week Oman Awards 2018 in the Commercial Project of the Year category. The event, which took place at the Grand Hyatt Muscat hotel on Monday, 12 March, recognised and rewarded a host of companies and individuals from across the sultanate’s construction community. The 13 award categories were designed to celebrate individual excellence, corporate prowess, and project success demonstrated during the past 12 months.